It is a purpose of couples therapy to resolve your current causes of distress and conflict, and to restore the potential for a wonderful and fulfilling future. For couples who remain together, therapy can also provide the skills to resolve future conflicts. For couples who decide to part, therapy gives an opportunity to separate with respect, dignity and friendship. Therapy can give new meaning to subsequent relationships. Creating a ‘safe’ environment for disclosure of vulnerabilities. Facilitating calm, thoughtful and reflective communication to ensure everyone understands what is being said and meant. Identifying the format and process of your interactive cycles of conflict and responses to stress as a target for behavioral change. Restructuring power dynamics and boundaries. Identifying specific problems and developing practical solutions. Developing empathy and the emotional understanding of each other. Creating communication and resolution for couples who have ‘given up on each other’. Using personality strengths and adaptation. Where necessary, developing positive paths forward to separation. A couple without others involved can find themselves in conflict to levels of distress that renders the relationship unpleasant or even jeopardize remaining together. This dispute may be an isolated issue or a broader concern. Often, the conflict has existed for quite some time and has now become intolerably magnified and confounded. Attempts at resolution have failed, and the situation has worsened. Therapy is a positive way to unravel and resolve these issues, and develop new skills to prevent problems from developing in the future. 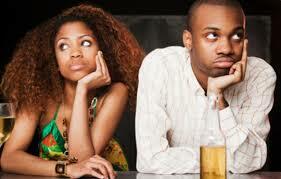 Problems can develop between parents as a couples. The hard truth is that many children’s and adolescent’s problems are linked to conflicts between parents. Research demonstrates that include oppositional-defiant behaviors, disrespectful attitudes, truancy, school performance deficits, mood disorders, substance abuse, promiscuity, self-harm and eating disorders – all associated with subsequent problems as adults. Our children our very observant – your conflicts are readily evident to them. But because of their maturity, verbal expression skills and coping skills adolescents and children ‘act-out’, rather than express them appropriately. Consequently, kids become ‘pathologized’ and little progress in their therapy reflects the persistence of parental conflicts. So, sometimes the treatment of children and adolescents involves work on parents’ relationship. I’d like to help. Occasionally, couples sessions are initiated as a result of problems identified in adult individual sessions. My approach in subsequent couples sessions is to remind both parties that I am ‘biased’ or at least ‘influenced’ by the individual relationship, and that for more extensive couples therapy, it might be more appropriate to refer to a neutral and independent therapist.